Though Local Tourist Ottawa is primarily a contributor-driven project, since launch in 2010, the site has been managed by three core editors. Jessey is a writer, content strategist, the founder of Local Tourist Ottawa and the current lead editor. After working as a multimedia and print journalist for various Canadian news outlets, she switched to the non-profit world, managing media and community relations for a national Canadian charitable foundation. Today, she works at an amazing public relations firm with a diverse roster of clients. She hails from a small town on Ontario’s Lake Simcoe, but after coming to Ottawa for her journalism degree in 2003, she never left – well, not for more than a couple of months at a time. She lives for spontaneous adventures, conversations that go on for years, the smell of autumn, and singing her guts out in the car. Amy is a journalist and editor and the co-founder of LTO. After growing up in a rural Ontario town – where the slogan was “Our village is small, but we love them all” – she moved to Ottawa for school and hasn’t quite shaken her love for the nation’s capital. With an undergraduate degree in journalism and a master’s in international affairs, she adores everything from the buzz of Parliament Hill to shopping the northern stretch of Dalhousie to exploring Chinatown for the best pho. She believes in optimism, favours the colour orange (but detests orange candy) and never sneezes less than three times. Amy is currently taking a break from LTO, and she is now based in Toronto editing for a national news organization. 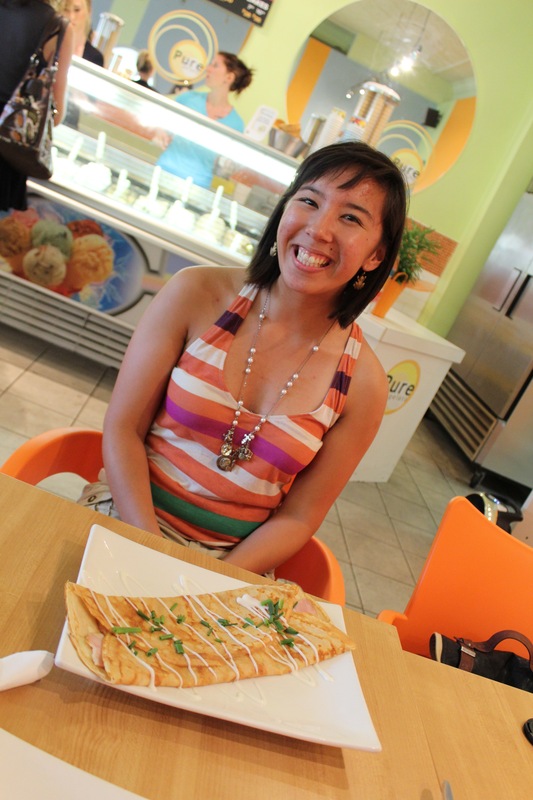 Hilary is a journalist, food blogger and former contributing editor for LTO. She found out about the project after Jessey commented on her blog asking if she was interested in contributing. The rest was history. Hilary recently completed her fourth-year of studies at Carleton University and loves writing about her adventures in cooking, baking and exploring, on her blog, Hilary Makes. When she was young, she city-hopped from one northern Ontario mining community to another. She loves consuming cupcakes at a rapid pace, cycling along the city’s beautiful bike paths, chatting with members of Ottawa’s thriving food community and eating copious amounts of bread from Art-is-in Bakery. She also appreciates italicized text and well-designed magazines. After making incredible contributions to LTO, Hilary was scooped up by CBC. She is currently based in Sudbury.